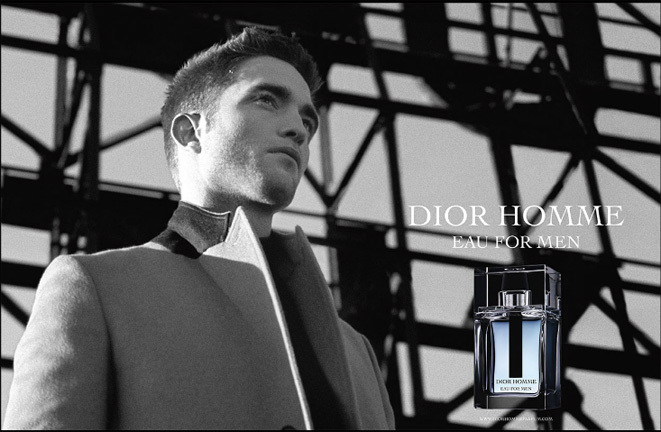 Robert Pattinson, the new face of Dior Homme, brings casual seduction to the Dior Homme campaign. Unfettered, in the wind and the sun. He states his elegance outdoors, with cool sophistication. Throwing conventions and constraints to the wind. The fragrance resembles the man himself, a unique territory where elegance can be light and free. The legendary Dior Homme accord is revisited by François Demachy in its timeless clean signature. An olfactory cotton freshness, crisp but lingering, sober yet bright. An exercise in style that reflects the quest for fine materials: Calabrian Bergamot, Grapefruit Blossom and White Musks. The simple luxury of an instant pleasure. Crimean Coriander, mainly used in cooking is classified as an aromatic. It contains linalool, adding fresh, peppery and zesty notes to Fougere, Citrus and Chypres fragrances. Captivating and mysterious, it is the enchanting top note of Dior Homme Eau for Men. Tuscan Iris, Iris Absolute is one of the most precious elements of the perfumer’s palette. Its extraction is a very long and delicate process. The rhizome must first be dried for at least three years. Its extraordinarily strong, almost pervasive fragrance of powdery accords reveals its woody green tones, bringing to mind the reassuring aroma of warm bread. Virginia Cedar, native to the United States, Cedar Wood Essence is obtained using steam distillation. Its refined, noble aura makes it a perfect base note in a host of men’s fragrances, to which it brings an intense, energetic quality. At first spray, I fell in love. 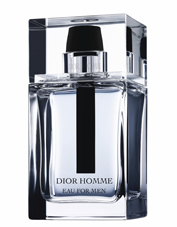 Dior Homme Eau for Men immediately emits a scent of masculinity and sexiness. Provocative thanks to its spicy top notes. I am very particular about men’s cologne; preferring spicy and sultry, sometimes a hint of sweetness… I love crisp aromas. I veer between a clean, fresh scent, linen-like, for summer, and a stronger, spicier scent overall. Dior Homme Eau completely fits the bill. One word of advice: spray lightly until the fragrance settles to find your perfect aromatic balance. The bottle… oh the bottle. Like an architectural masterpiece, Dior Homme Eau’s bottle stands tall and rectangular in a minimalist fashion. 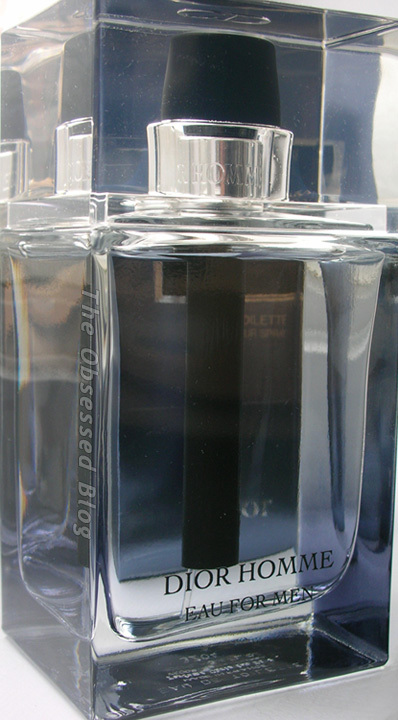 With a slight smoky gray tinted glass matching its box, and subtle black details (on the atomizer), the bottle is elegant, simple yet luxurious, reminiscent of a tall glass skyscraper. Dior Homme Eau for Men. Exclusive to the Bay (in Canada) and available April 2014. For more information, head to TheBay.com or to Dior.com (no shipping to Canada).